Bird's the word with these excellent recipes—specifically, turkey. You'll never think of the healthy, lean meat as bland or boring again with exciting and easy preparations that call for using the whole bird, ground meat, and everything in between. 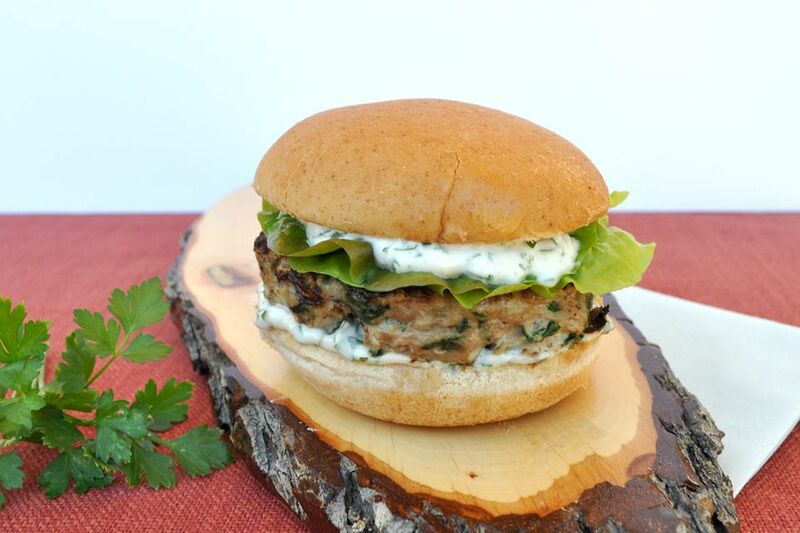 A bright and herbaceous green goddess dressing, plus spinach and parsley in the patties, give these green goddess turkey burgers a gorgeous color and sprightly flavor. The patties will be wet, so use lots of oil on your hands and try not to handle them too much or they could turn out tough. Lightly toast your buns before serving, so the sandwich doesn’t get mushy. Did you make a big ol’ bird and need creative leftover recipes outside turkey sandwiches? Mix up these easy leftover turkey lettuce wraps for a low-carb way to use up extra meat. The cranberry mustard is reminiscent of Thanksgiving with a kick. This salad also goes great on wheat or rye bread or even on top of a salad. If your family always fights over who gets the drumsticks, skip the whole bird and just roast up some legs. Easy and versatile poultry seasoning flavors the meat to perfection, but this simple roasted turkey legs recipe also lends itself well to variation. Add whatever herbs and seasonings you prefer. This slow-cooker turkey taco soup uses canned beans for quick and speedy preparation. The spicy Southwestern flavors will spice up your weekday dinner and you can make it with either ground turkey or beef, if that’s what you have on hand. Garnish with a dollop of sour cream, chopped scallions or chives, and crushed tortilla chips. Once you make your own Thousand Island dressing for these lighter turkey Reuben sandwiches, you’ll never buy another bottle. This quick and easy recipe makes a fantastic weekend lunch or a light dinner with a side salad. Feel free to eyeball the proportions or add your own favorite toppings to personalize your meal. Go green with this hearty and easy turkey green chili. 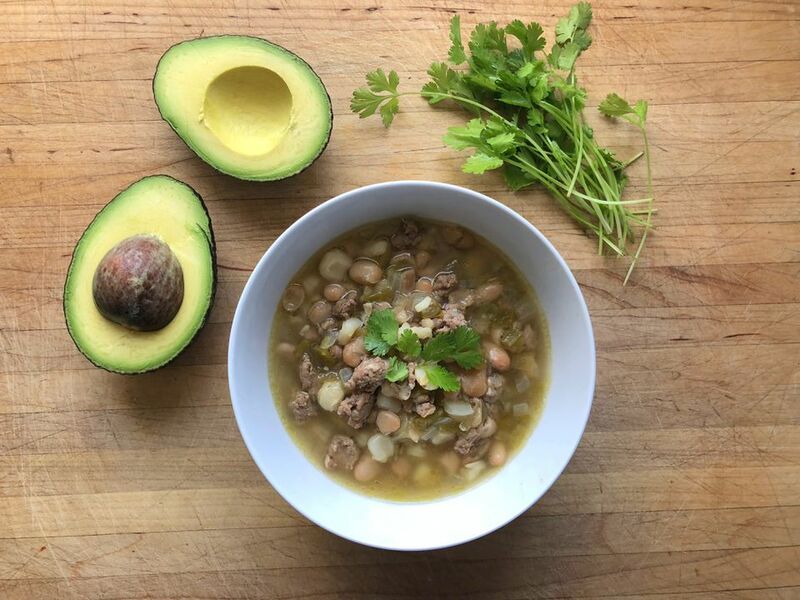 You can use leftover shredded turkey or ground turkey, as well as canned hominy and white beans to bring it together in a flash. Garnish it with sliced avocado, chopped cilantro or scallions, and crumbled cotija cheese for an even tastier and prettier presentation. Dying to deep fry your own turkey? Start with this easy deep-fried turkey breasts recipe, using a breast rather than committing to a whole bird. Cajun seasoning spices things up, but you substitute in other seasonings. Make sure you use a dry pot and lower the meat into the pot very slowly so your oil doesn’t spatter and cause injury. You may have had chicken cordon bleu, but turkey tenderloins work beautifully in the classically French dish, too. The turkey cordon bleu recipe's quick cook time means you can also have dinner on the table in a flash. If you can’t find turkey tenderloins at the grocery store, ask your butcher to order them. Did you know that the Italian-style tetrazzini is actually an American dish, purportedly named for American opera singer Louisa Tetrazzini? This creamy classic turkey tetrazzini is traditionally made with chopped turkey or chicken, mushrooms, sherry, and Parmesan. You can use different cheeses to mix up the flavor profile, and either leftover turkey or a fresh-cooked tenderloin or breast. Once you go bag, you never go back. With this forgiving whole-bird roasted turkey in a bag recipe, you can overshoot the cook time and not end up with dry turkey. Make sure you get a turkey bag meant for the oven; regular plastic bags will melt and could cause a fire. After you master the technique, try mixing up the herbs and spices for future dinners! Turkey breasts or tenderloins cook up spicy and succulent in this simple Jamaican-spiced turkey recipe. Jamaican spices zest up the mild turkey flavor and is a nice change from chicken or pork. If you can’t find Jamaican seasoning, you can use Cajun for a little twist. You can have dinner on the table in under 15 minutes with these herbal-scented quick pan lemon turkey breasts. Greens added to the pan at the last minute steam right along with the protein and a healthy spritz of citrus at the end brightens it all up. Use very thin cutlets for best results. Vary the herbs or add a little white wine for a different take so the family never gets bored. Parmesan and panko gives these oven-fried breaded turkey cutlets a luscious flavor and golden crunchy crust. Serve them with a side of potatoes and a steamed greens for a healthy meal that’s worthy of company. Tired of the same old roast turkey? Give this grilled stuffed turkey breast a try. It’s wrapped in bacon to keep it moist, then stuffed with a blend of mushrooms, spinach, goat cheese, and sunflower seeds to form a creamy, flavorful filling. You can replace the sunflower seeds with chopped walnuts or even pistachios, or add chopped fresh thyme or basil for additional herbal notes. If you like crispy chicken, you’ll love these tasty fried turkey tenderloins. Marinate the turkey in the fridge for about two hours for maximum juiciness and remember to press the flour to the turkey nice and tight for the crunchiest result. Can’t find turkey tenderloins? Pieces of turkey breast will do. Whether you have a small crowd for Thanksgiving, want extra meat to feed a horde, or just need a simple succulent meal for the family, this slow-cooker maple glazed turkey breast recipe will hit the spot. The sweet maple-and-apricot glaze makes the juicy bird irresistible and the cornbread stuffing cooks right in the slow cooker, too. Give it about six to seven hours to cook through. This hearty turkey, ham, and Swiss cheese casserole will have the whole family heading back for seconds. Use leftover turkey from a whole bird or cook up a quick breast or tenderloin. Diced ham and Swiss pump up the flavor, and optional carrots, peas, or mixed vegetables will give you a dose of vitamins and fun color and texture, too. Turkey makes a lighter alternative to beef in this stick-to-your-ribs meatloaf. Turkey meatloaf with a cranberry glaze adds a nice sweetness that complements the meat. We recommend tossing in some ground pork to keep the meatloaf moist, but you can use ground turkey thighs instead, if you want to keep it all bird. Boxed stuffing, canned cranberry sauce, bottled Worcestershire, and apple juice combine with ground turkey to make this party-worthy appetizer. These easy appetizer turkey meatballs come together in the slow cooker while you prep the rest of your meal or get ready for a special gathering. Serve these on toothpicks at your next get-together or even over pasta for a tasty main. Boxed stuffing creates the best texture, so don’t go out of your way to make your own. These elegant turkey and mushroom crepes are a great way to use up leftover turkey, or a pretty presentation for a fresh breast or tenderloin. It’s worth the effort to make these homemade crepes and truly not as difficult as you might think. But if you’re short on time, go ahead and buy premade ones to cut down on preparation.